Interactions/Mosaic, 6th edition prepares students for college life through modern content, intensive vocabulary development, and online homework. 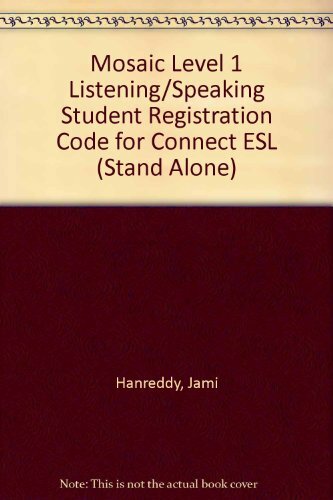 Mosaic Listening/Speaking Student Registration Code for Connect ESL (Stand Alone) Level 1, 6th ed, offers the perfect combination of e-book and automatically graded homework. Learners can access the entire book online, and the all-new exercises for each chapter help students improve their vocabulary, listening, and speaking skills.